Unsure if I posted this already. If I did, sorry. If not, enjoy. Pan down to the Puma-Dyne Advanced Technology facility. Alarms blare as two GOONS in suits, ties and fedoras run towards a waiting brown sedan lugging a shrouded object between themselves. The first goon pops the trunk and then he and his partner muscle the shrouded form inside and slam it shut. Come on! The boss don't like to be kept waitin'! Let's get this death ray to him fast! They get in and speed off as GUARDS run out, laser guns blasting away. Tires squealing, the brown sedan speeds out of the Puma-Dyne parking lot and onto the street. Sirens wailing, a trio of Enforcer cruisers round a corner and give chase, but the goons' car has more under the hood, and the driver grins and floors it, putting distance between themselves and the pursuing Enforcers. So much for those loser Enforcers! In the lead cruiser giving chase, FELINA FERAL pounds her steering wheel in frustration. She's a few years older with a bit more white in her hair and wearing a lieutenant commander's greatcoat, tie and vest. There's a supersonic roar and a shadow passes over the pursuing cruisers. Felina looks up and gasps. It's the Turbokat! T-BONE and RAZOR, twenty five years older but still fit and looking very much like themselves, are inside. I dunno what those punks took from Puma-Dyne, but they picked the wrong town to rob. You got 'em, Sureshot...? Yep. One Can Opener Missile comin' right up! Let's show these goons that the SWAT Kats can still pack a punch, or in this case... a slice! He fires a missile that unfolds into a pinching can opener type mechanism. It flies towards the goons' sedan and shears the top off just as the goon riding in the passenger seat is about to speak into a walkie-talkie he has. Their fedoras blow off in the wind caused by the fact they're suddenly driving a convertible. Oh, no! It's the SWAT Kats! Get us outta here! Zooming overhead, the Turbokat deploys not one but two Sky Claws which grab the back of the goons' seats. With a jerk, the seats are torn right out of the speeding car, which continues on without its occupants. Both goons are wearing their seatbelts and dangle helplessly. The driverless sedan swerves and hits a lamp post. Bam! The trunk pops open, revealing the stolen, shrouded death ray intact and unharmed. Putting the Turbokat into VTOL mode, T-Bone flies over to where Felina waits with an older, grizzled-looking COMMANDER FERAL and several ENFORCER COMMANDOS. The dual Sky Claws drop the two seated, dangling crooks in front of the Enforcers. Thank you for flying SWAT Kat Airlines! Commandos rush forward and cuff them while they're still belted in and sitting. Feral just grumbles. Peering out of a nearby alleyway, a walkie-talkie in his hand, is CLAUDE BADLY, the glowering crime boss the criminals work for. He's in a white suit with a stylish, diamond-handled cane and has deeply-entranced scars running down his cheek from where someone scratched him badly years ago. Suddenly he's spotted by Razor. Looks like we got one more to nab! The Turbokat pivots towards him. He turns to run, only to be stopped in his track by an Airbag Missile. It zooms past him, hitting the ground. The enormous airbag inflates upon impact, and Badly slams into it face-first, sinking into it as if into a marshmallow, then with a "sproing" he's flung backwards, cane and radio flying from his hands as he sails screaming through the air. Sorry about that, Mr. Badly, but you've got an appointment to keep with the slammer! Badly lands with a thud amidst the Enforcers, disheveled and stunned, and is immediately handcuffed. They give a thumbs-up to the camera. The SWAT Kats are back baby! 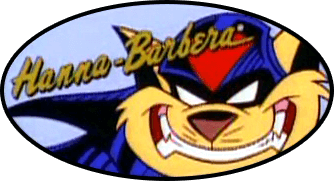 "SWAT KATS: REVOLUTION" title fades in. Last edited by Kooshmeister on Wed Nov 07, 2018 9:12 pm, edited 1 time in total. Feral just grumbles. Peering out of a nearby alleyway, a walkie-talkie in his hand, is CLAUDE BADLY, the glowering crime boss the criminals work for. "Claude Badly." Does he live up to his namesake? If you mean the Dog City villain Clawed Badly, he might be a little more competent, heh. Or, if you just mean the name, you'll see he is mentioned as having claw mark scars down one cheek (just like Dog City's Clawed).